Buckle up, you're about to listen to two adults cry with laughter over Jar Jar Binks sound bites. 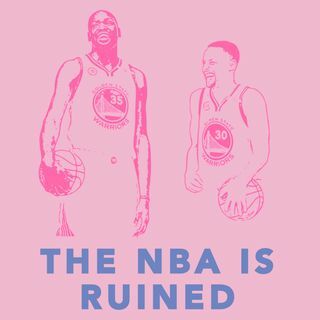 We get into DeMarcus Cousins' return, Klay Thompson as a person and his chances of leaving Golden State, Kevin Durant telling Kerr to put the ball in Steph's hands, the Spurs-OKC game, James Harden stinking' it up from 3 point land, the imploding Celtics, and more! If you haven't, please rate and review the podcast. You're the real MVP.